You read that right–this is a recipe for fadge, not fudge. In Ireland, these potato bread rolls are called fadge or potato scones. In Scotland, this recipe is called tattie scones or potato scones. Whatever you call them, these little potato cakes are easy to make, economical, and a good use for leftover mashed potatoes. It's an easy and quick recipe when you want rolls for your soup or stew, or you can serve them with jam for breakfast or tea. You don't use yeast, but rather use baking powder to give the dough some rise, cutting time considerably. The recipe also requires gluten-free bread flour, so you will want to use your favorite brand and variety. Fadge can be baked or pan-fried. This recipe includes instructions for either method, and you might try them both ways to see which you prefer. 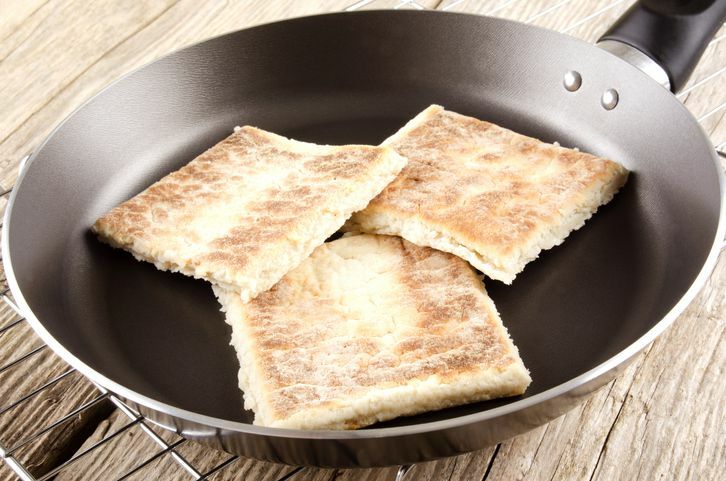 This recipe is adapted to gluten-free cooking from Elaine Lemm's recipe for "Tattie Scones." To bake gluten-free fadge, preheat oven to 400 F. Line a large baking sheet with parchment paper or lightly grease with cooking spray. Measure and blend dry ingredients in a small bowl. In a mixing bowl, blend mashed potatoes, egg, and olive oil or melted butter. Add dry ingredients and mix until combined. Turn the fadge dough out onto a lightly gluten-free floured cutting board. Roll or press the fadge dough with hands to 1/2-inch thickness. Use a round biscuit cutter to shape the fadge cakes or cut them with a knife in any shape you like. Place them on a parchment paper-lined baking sheet. Brush with olive oil or melted butter and bake in preheated oven for about 20 minutes. After baking for 15 minutes, remove baking sheet from oven and turn the fadge over so that both sides brown evenly. Serve warm. To pan-fry fadge rather than baking, add about 2 tablespoons of olive oil to a large skillet and heat over a medium burner. Add fadge and fry each side until golden brown.